Enhance efficiency and productivity of field service teams. Beyond these opportunities, smart medical devices open the door for the benefits that radiate through the supply chain. 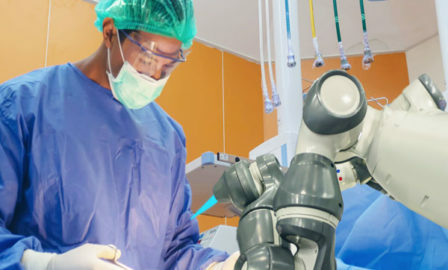 Used to its fullest extent, the data produced by internet-connected medical devices can be used to more effectively plan for the many spare parts needed to keep the installation base operating effectively. Machine learning and data from smart medical devices can be leveraged in three key areas to optimize the supply chain for device spare parts. 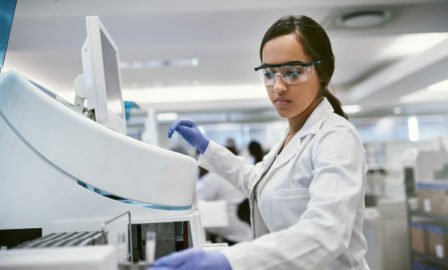 While they are all interconnected each also can offer standalone benefits for a med device manufacturer. Which spare parts are needed for which repairs in which conditions? Most companies maintain bills of materials for the parts required to conduct certain preventative maintenance procedures or common repairs, but what if diagnostics from the device itself could help more precisely predict the parts needed to complete a maintenance work order? A one-size-fits-all preventative maintenance routine could be replaced with a more targeted maintenance routine that not only reduces the time and effort required of a maintenance technician, but also limits the spare parts used in each case. All of this contributes to more effective inventory planning. The ability to predict maintenance events opens the door for medical device manufacturers to greatly reduce the spare parts that are required to adequately support their maintenance contracts. Traditional inventory planning models for spare parts carry relatively high volumes of inventory to guard against the random occurrence of device failures. 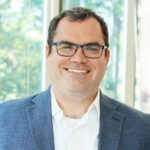 If the randomness of these events can be reduced by using machine learning and diagnostics from connected devices to predict potential failures and conduct maintenance before the failures occur, manufacturers can incorporate this information into their demand planning systems. This, combined with lean manufacturing principles, can significantly reduce inventory levels while maintaining or even improving service levels. Cost-savings aren’t only achieved through lowered total inventory and transportation costs but also from more efficient service calls by proactively shipping spare parts to where they need to be. One of the keys to an effective device maintenance program is to ensure the necessary repair parts are in the hands of the technician when they need them. Maintaining the trunk stock of field service reps is critical in this regard. In addition to the standard stock the technicians carry, additional items can be shipped to correct specific conditions requiring repair as they are dispatched to a hospital or another facility. In traditional models, these additional parts aren’t shipped until a problem is reported by the customer. This often involves overnight shipping of parts to the technicians so they can service the devices the next day. In a world where conditions can be predicted before they occur, med device companies can adopt processes such as predictive analytic shipping (being pioneered by Amazon) to ship repair parts to field service reps or depots more efficiently and in advance of a customer-reported problem. Doing so enables significant transportation savings and reduced downtime of devices for customers. 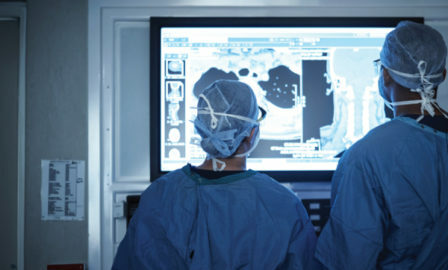 Realizing the benefits of improved spare part planning for smart medical devices takes more than just combing through the mounds of data available on device performance. Maintenance technicians accurately recording spare part usage for specific maintenance activities provides clean data to drive the analytics. Accurate spare parts inventory at warehouses, depots, and with field service reps provides the foundation for more effective replenishment planning. Multiple technologies support all of this – from systems for collecting signals from the devices, machine learning tools and algorithms to process the data, and an integrated ERP system to manage inventory and maintenance orders with mobile capabilities to enable point-of-use data collection. Are you in a position to start taking advantage of smart medical devices to drive efficiency through your supply chain?